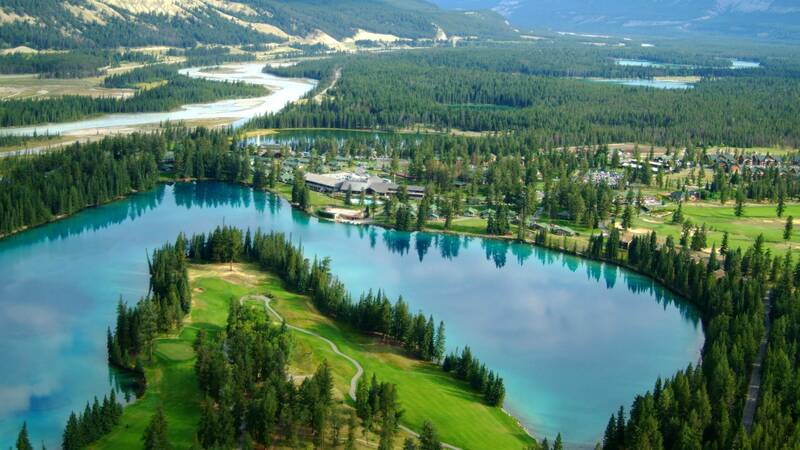 The Fairmont Jasper Park Lodge lies just outside Jasper and is spread over a large area around pretty Lac Beauvert. 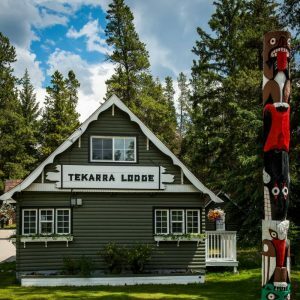 The different accommodation is arranged in attractive cedar chalets, log cabins and spacious lodge rooms with huge picture windows. 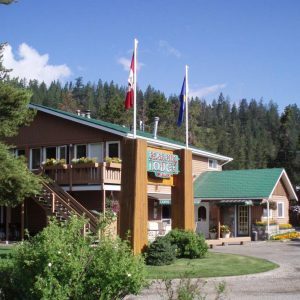 The Jasper Park Lodge main building houses the health club, spa and a number of restaurants. With an outdoor pool, huge sun decks, bicycles and boats available for rent; fishing, horse-riding, golf, spa, hiking and canoeing there is something for everyone. 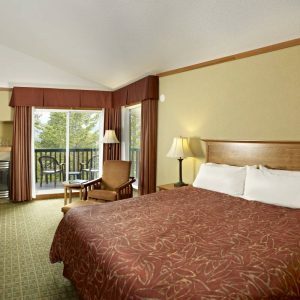 Standard Fairmont rooms, deluxe rooms with lake view and junior suites with fireplace and a sitting area. 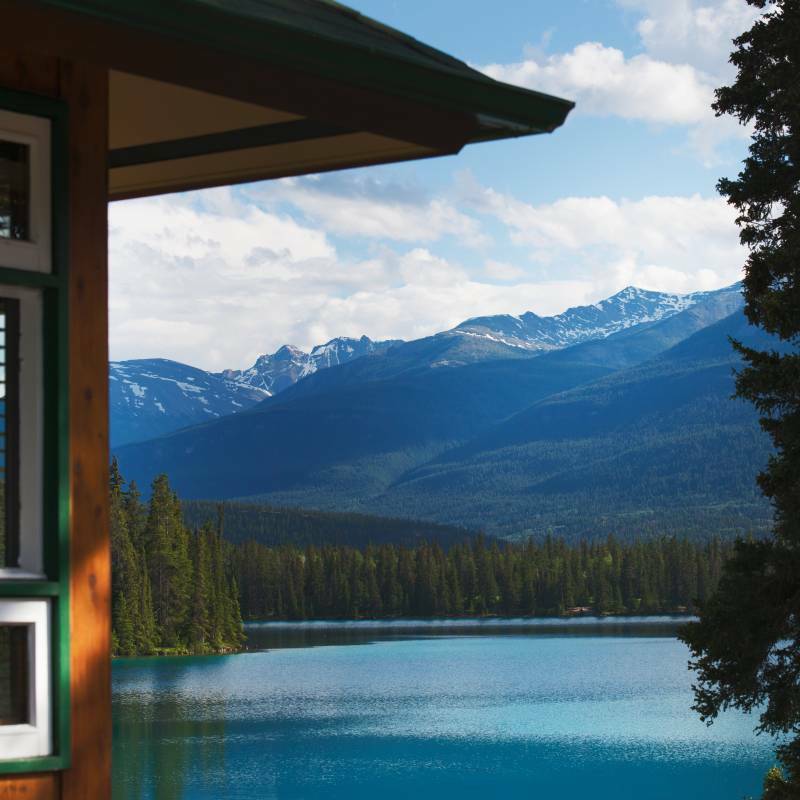 There are also some splendid cabins with between 2 – 6 bedrooms. 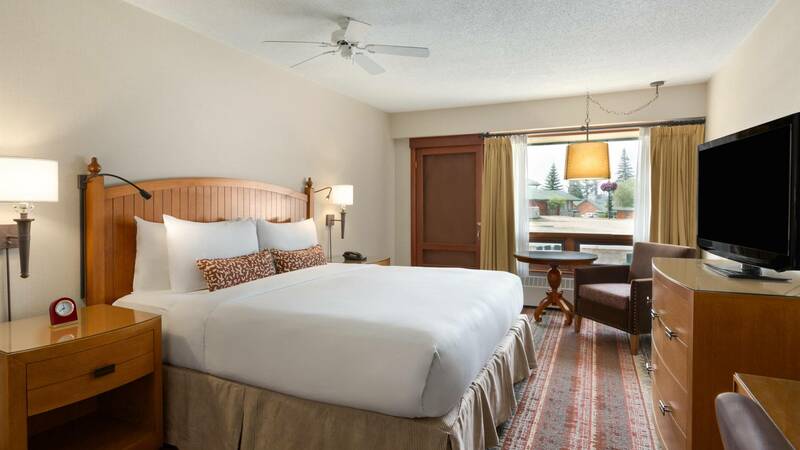 Deluxe Room – offers a larger living space than the Fairmont room. 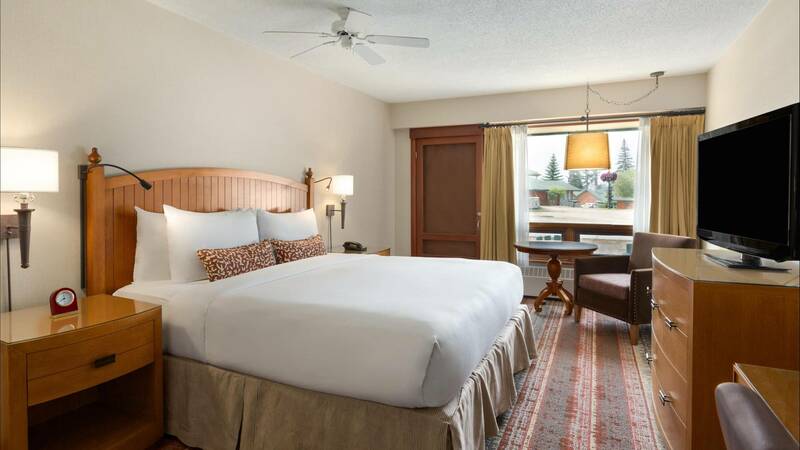 Deluxe rooms feature two double beds and an outdoor patio. 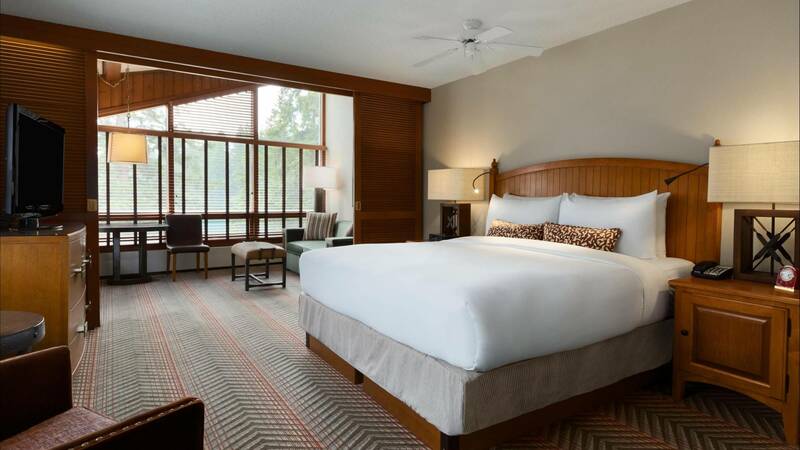 The Deluxe room is ideal for individuals, couples or families looking for added comfort and space. 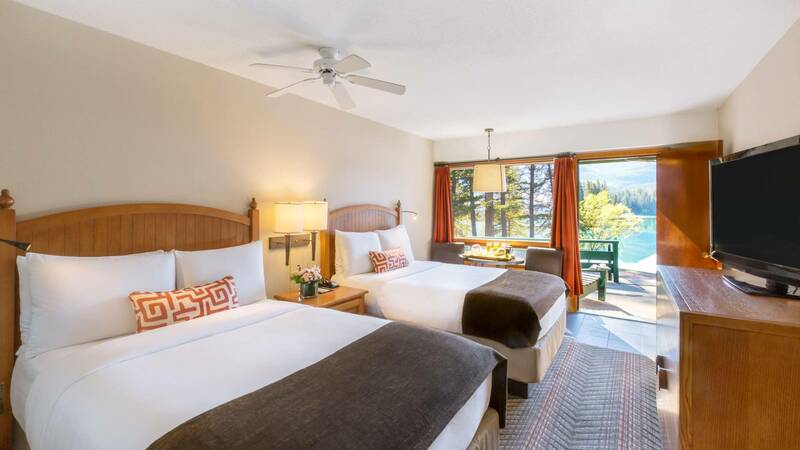 Junior Suite Lakeview – these are well appointed with spectacular views of the crystal clear Lac Beauvert. These charming Jasper suites feature a sitting area comprised of a pull-out sofa bed, a coffee table and two chairs. The sitting area and the bedroom can be completely separated by wooden sliding doors. This type of accommodation is perfect for families and couples alike. 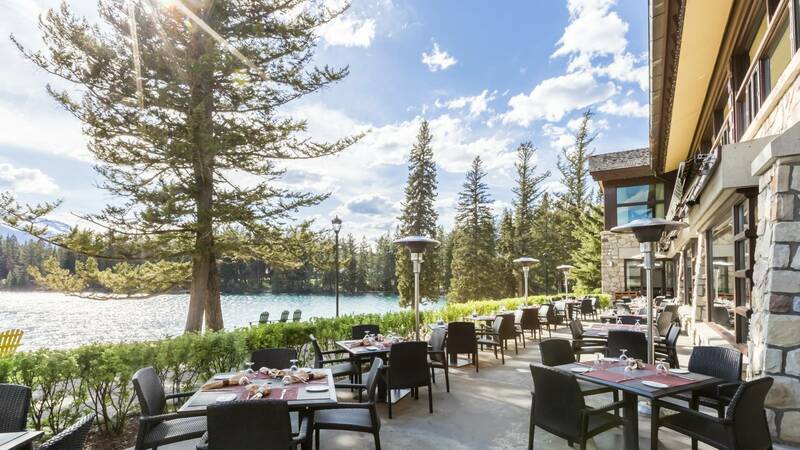 The Fairmont Jasper Park Lodge is the only luxury hotel in Jasper and with its lovely position is superb in summer and suitable for couples and family holidays.